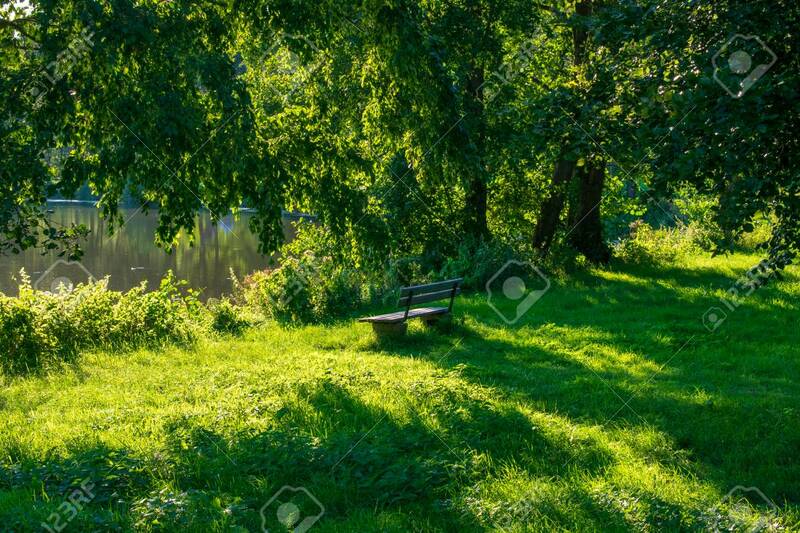 Lonely Bench In Lush Green At The Lake With Trees. Location: Germany, North Rhine-Westphalia, Hoxfeld Lizenzfreie Fotos, Bilder Und Stock Fotografie. Image 110710104.